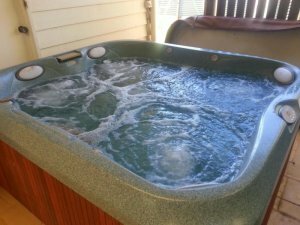 Selling a 4 person spa bath. Comes with a lockable cover, head rests, filters, water feature as shown in photos. seats 4 people in molded seats with massage jests on all seated areas and more. can fit 6 people in it. you can come and inspect with wster in it and test that everything works, leave a deposit and I will disconnect and empty water ready for you to pick it up. …still brand new and very good working condition. contact for more details and price list.